Nothing else is more important to life on this planet than water. Even through the rigours of the industrial age, and in spite of its fragility and finite nature, water continues to support life with aplomb – for now, at least. Yet it's impossible to shake the impression water is as taken for granted as it is misunderstood by those privy to its on-tap availability. However, in commercial brewing on all scales, there is growing awareness that the ratio of water used per litre of beer produced should be reduced if the industry is to remain sustainable. This is especially true of drought affected Australia and California, where the number of breweries opening continues to grow while water becomes all the more scarce. What’s more, while there are plenty who emphasise the importance of drinking, thinking and supporting local in the craft beer world, the majority of brewers use malt, hops, yeast and, increasingly, barrels imported from overseas while few supply solely to their local market, furthering increasing the environmental impact of the brewing industry. Not everyone is convinced that climate change exists – or that man is in any way responsible – yet a growing number of people are concerned for the future health of our planet, including, of course, brewers and beer drinkers. As Australian drinkers become more educated about the beer in their bottle, glass or can, they are learning of water's importance in the brewing process. So, while it is true that the vast majority of water consumption related to the production of beer occurs before the ingredients reach the brewer, for our latest look at environmental issues affecting beer, Graham Frizzell picked the brains of three water conservation industry leaders in order to gain an insight into all things H2O. James Perrin: Packaging & Sustainability Manager at Stone & Wood. Chris Herring: Brewmaster at Mt Tamborine microbrewery Beard & Brau. Casey Chartier: Sustainability & By-products Coordinator at Northern California craft brewers Bear Republic. The brewery has withdrawn its beers from interstate American markets in the past due to water shortages caused by drought in California. How important is water (including its minerality) to the brewing process and the end product? James Perrin: Water is the main ingredient in beer, so it makes a massive impact on the quality. When you look at how brewing has developed historically, different types of beers have been brewed and developed based on the regions in which they were brewed and the quality of available water: classic ales in England, lagers and pilsners in the Czech Republic and Germany were largely based on the water quality. As technology has evolved over time we have been able to impact the water quality that is being used. [Water quality] is of vital importance to beer and we are very conscious of the water we are bringing in. Chris Herring: Pure water is not good. It will kill yeast. You need a range of minerals, what is called “potable” water in brewing. With our processes, we use a carbon micron filter and then UV sterilise before adding a whole heap of salts back in to make everything more palatable for the yeast. Different salt profiles generate different styles of beer. We make an English style beer so we put a lot of calcium carbonate into the brewing and that’s what gives it its creamy smooth character. Pilsners from the Czech Republic are full of magnesium sulphates, which is more your sparkling mineral water characteristic. A certain minerality is needed for the mash to work properly. There’s a whole heap of enzymes going on in there. Even the dimensions and geometry of your mash tun will determine the minerality as well. From where does your brewery source its water? James Perrin of Stone & Wood, where he is helping reduce the brewery's environmental impact. JP: Our water is municipal supply from Byron Bay or the Tweed Valley councils depending on which brewing facility we’re talking about. We have on-site water treatment, so we put the water through active carbon filters. 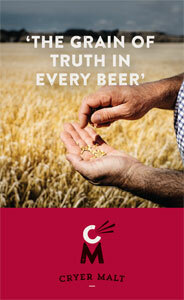 CH: Our brewery is on our farm, hence we don’t have any mains water or sewage. Water to us is something of a commodity, for want of a better word. We capture all of our rainwater and we are fully sustainable in our water on site. We have no water pumped in and no water pumped off our site. Thanks to further improvements we became fully sustainable, which effectively means if it doesn’t rain, which it doesn’t tend to do much around here, we can remain self-sufficient. By this time last year we had 400mm [of rainfall], now this year we’ve had only 40. Welcome to drought country! Several people have water bores around our neck of the woods and if we need to drop a bore in we have to change our whole process. We’d like to keep things maintained just by rainwater because it gives us stability and repeatability within the brewing process. 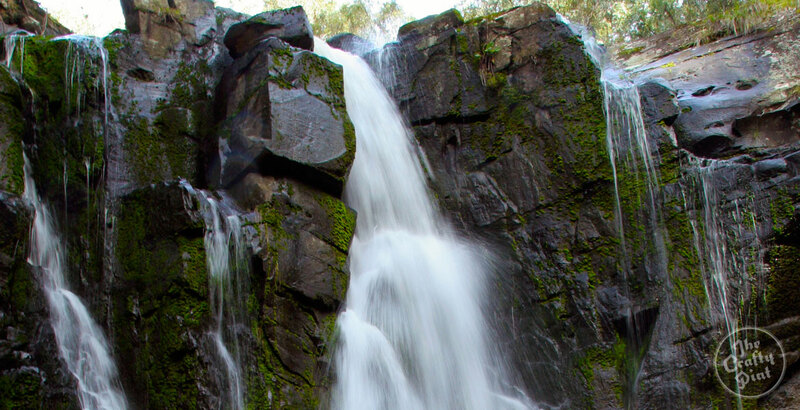 Typical Tamborine annual rainfall is 1,300mm per year, however over the past three years we have been living on 500mm or less. The definition of a drought is three years with less than annual rainfall [recorded]. We are now into year four. Casey Chartier: Bear Republic sources its water from wells that are supplied by the Russian River. Besides beer (as in the end product), how is water utilised and recycled? JP: We have different classifications for water usage: Product water, which is used for making the beer [mashing in or any other part of the process], transferring beer between the vessels; cleaning, wash down, rising, anything that doesn’t touch the product but the machinery comes in contact with; utilities water for boilers, cooling towers, parts of the brewery that don’t have any part of the brewery process. We are using the same municipal water supplies for all of our processes, however for some of those we are able to reuse and recycle. When we do an internal bottle rinse, that water is then captured and put back in our cooling tower. Going forward, we have got an exciting project coming up later this year [late June]. We are installing a UFRO (ultra-filtration reverse-osmosis) plant. We have an onsite aerated wastewater facility as well. We are going to take that treated water and put it through the UFRO to put back into the brewery for wash-down and utilities purposes. We won’t be using that water for making the beer, but we will certainly be using it for any other purposes like pre-rinsing, the cooling towers, boilers and those sorts of things. Rinse water can be reused provided it isn’t contaminated and won’t cause fouling or build-up in the cooling towers or boilers. One of the biggest uses of water for any brewery is cleaning and CIP [clean-in-place]. A CIP is quite common among breweries and we’ve got one here which we are optimising. It’s a set of three or four tanks: a raw water tank, caustic tank and one or two tanks that can be used to reclaim used water. For example, when cleaning a vessel we use raw water for rinsing and then recapture that same water in a reclaimed tank. We then use caustic, which is then reclaimed for pre-rinsing and pre-cleaning another vessel. On that next vessel, when we do the final clean, we recapture the water again. We are able to reuse a good portion of water and cleaning chemicals around the brewery. CH: The two major uses for water [in brewing] are to make the beer and for cleaning. Some breweries may have a fancy bottling line that needs water for lubricating its conveyors. We, and I hope most other brewers who bottle, use what’s called ‘virgin glass.’ These bottles are effectively sterile because they come off the manufacturing line at about 80 to 90 degrees and they are packed at that temperature. They are sealed in their plastic so there won’t be any biological or bacterial contamination. When I say cleaning, I am referring to removing the dirt and sterilising equipment, which is a process all in one. We are what’s called a dry brewery, which means we have only the one sump pit going into our wastewater and not so many drains going everywhere. 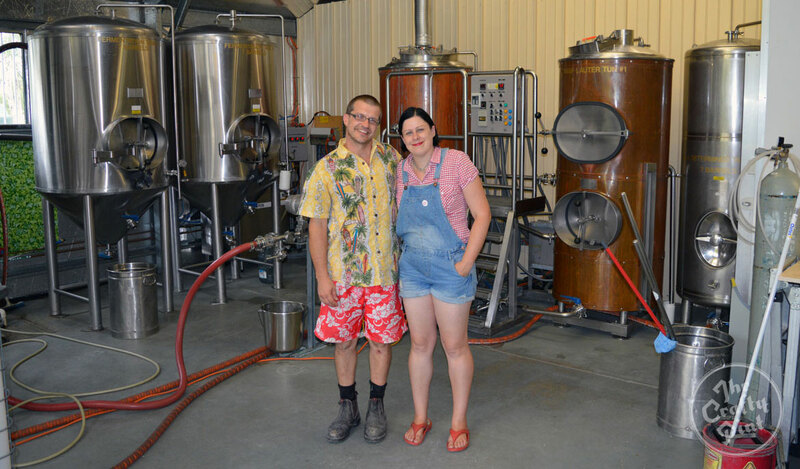 Chris "Fish" Herring and partner Tanya Harlow at their Queensland farmhouse brewery. We make sure we recapture all of our water. 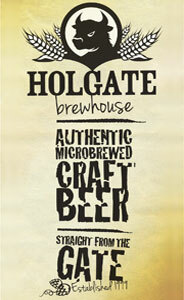 We use less than two litres of water per litre of beer, which is well beyond [average] world standards. We’ve just been given three stars in an eco-sustainability program here in Queensland and have taken out sustainability awards with our local council the past two years. When we need to we redirect our water through pipes to our sump pit, water is then filtered of salts and solids before it goes through to our own treatment plant. Essentially, the bugs we can generate because of the use of sugars eat up everything, and then we can spray that water back out on to our pastures for our four-legged lawnmowers that race around the farm. In our case, because we have our own wastewater treatment plant, we’ve moved away from effluent and developed our own cleaning chemicals. We have a non-dangerous goods, bio-degradable cleaning regime which gets us better results than caustics and acids. As a result, we have reduced the water usage in this regard by 40 percent. We have the philosophy of: "If it’s from the farm it goes back to the farm." If it’s rainwater that’s fallen on the ground it will be returned to the ground – as good as place as it can be. CC: About 45 percent of the water that enters our facility goes to beer and 55 percent goes out as wastewater. This wastewater comes from cleaning tanks, bottles, kegs and other equipment. During our bottling process, before we fill our bottles with beer, we clean them out with water. We capture this water and use it to wash off the residual beer that spills on the bottle after they are filled. Are there plans in place to further reduce the ratio of water used per litre/gallon of beer? CH: [Laughs] Of course the answer is yes because we’re in bloody drought! Recently, we’ve got a new contact who has got a steam generation plant, so our next step is to reduce our hot water usage. For example, when we clean kegs we use hot water but instead we could use steam. [This way], instead of using 30 litres of water we would then be using ten to clean our kegs. Also, we’ve got what we call the Leighton energy effect of steam. Instead of spraying out the tanks before wash-down and cleaning we hit them with steam, which means using less water and you’ll get the same result. Our biggest challenge so far is electricity. Being at the end of the Brisbane electricity grid, supply is not always there. We’ve got to start looking into solar capture and battery storage because we don’t always have power out here. We are around the 1.9 to two litres of water per one litre of beer produced ratio, which should give you a good idea of our processes. Meanwhile, Australia is leading the world in terms of water conservation in the malting process. JP: It’s certainly something a lot of brewers talk to each other about: the KPI of water usage. In Australia in general, our breweries are leading the way in water conservation due to the nature of the country that we live in. As it’s the driest continent in the world we are all extremely conscious – we have all experienced some sort of drought or water scarcity. As a result, that mindset has really been engrained in all industries but particularly breweries in this country. It’s quite common here in Australia to see breweries who are getting down to the threes [three litres of water used to produce one litre of beer]. It’s where we sit at the moment at Stone & Wood and once we start doing more wastewater recycling through our UFRO we can start looking at the mid-to-low twos. That ratio is extremely efficient. We certainly have some breweries that have reached those numbers before, which is quite amazing, and I have never seen those numbers anywhere else in the world. To be looking at two to 2.5 litres of water used it means, for every one litre of beer we’re making, only one to 1.5 litres of water would be used for other purposes including cleaning and utilities, which is quite extraordinary. Craft brewing and sustainability seem to have this natural synergy. There are craft breweries in the States really driving sustainability. It’s really great to see how that is evolving and developing here in Australia. We have a good relationship with a lot of the brewers in the States and we’ve been talking to the wastewater engineers at Stone Brewing about water treatment. As we grow at Stone & Wood, we’re following a similar pattern, and it is always good to know what those before you have done. Brewing is really a collaborative industry as a whole and sustainability will be a huge talking point going forward. 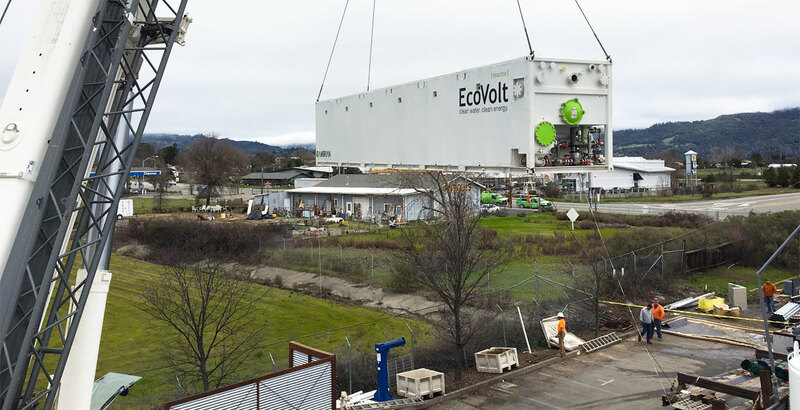 The installation of the world’s first bioelectrically enhanced wastewater pretreatment plant at Bear Republic earlier in 2016. CC: Currently, we are sitting at what is a best-in-class three to one water to beer ratio. We plan on achieving a ground breaking two to one ratio through various methods. First, we plan on installing additional flow meters on our water lines to get a more detailed view of where our water is being used. We’ll collect flow data from these meters and then determine where we can lower our water usage. If you don’t know where and how much water is being consumed, you won’t know where you can reduce your [overall] usage. Second, we have installed wastewater treatment equipment that will allow us to clean our processed wastewater to meet re-use specifications. We will be able to use that cleaned water in our facility for non-brewing purposes. This will allow us to reduce our water usage by up to 40 percent. How do you foresee the future of water in brewing? JP: We talked before about the synergies of the quality of water to beer but then there is the quantity piece as well: how we are using it and how efficient we can be? I can only see this as becoming more and more prevalent as we move forward. Our industry and technologies will evolve and become more efficient. Reverse osmosis would not have been economically viable five or ten years ago for a brewery our size, but now it certainly is. Not only from a monetary side but also the over-arching sustainability point of view. If we can invest in something like this for our sustainability and growth it makes good sense all round. A potential pitfall of our UFRO is that it is a fairly big energy user, but we can look to offset that in other ways – solar and smart renewable energy use. Certainly, from a desalination point of view, reverse osmosis requires a huge amount of water, and there is another talking point around how sustainable that is from a municipal supply standpoint. But when we are talking about already polished up water for wash-down and cleaning purposes it makes a lot of sense. For us, a big driver in terms of water use is not only the water we are using on-site but also the water that we are sending off-site. When we send water off-site, we don’t just forget about it – it has an impact. Our wastewater goes through to the local treatment plant. This water goes through treatment again which means more energy, time and resources before it’s suitable for reuse or sending back to the Tweed River. Everything has an impact. The valve that drains water from the brewery is as important as the one coming in. Generally, untreated water leaving a brewery can be very high strength and it can vary. High salinity, high solid content, organic content – whether it is treated on-site or elsewhere, it’s going to have some sort of impact. In an ideal world we will effectively treat our wastewater here and apply it by using effluent for irrigation for local sugar cane farmers in the Tweed Valley. It is certainly something we’re pursuing from a sustainability point of view. If we can limit the amount of water being sent down the sewer drain it will benefit the community as a whole. CH: I’m a farmer so obviously quite passionate about water conservation. Water is hugely critical in general. After all, beer is 95 percent water and we just put some magic in to make the water taste even better! We’re neighbours with an internationally recognised organic skin care company and we’re quite good friends. Some of the things they have used in their factory and their water usage we’ve applied in our own brewing operations. We’re both greenies and we go for environmental awards head to head. Environment and sustainability is at the heart of our ethos. I’m quite lucky: I get to look out my window and I’ve got a view of the brewery. I can see the Great Dividing Range and the trees. It’s real motivation – having a look at all that – and thinking this needs to be maintained. CC: I think the brewing industry in California will continue to grow, but we will need to be more conscientious with the water we use. I foresee other breweries, and other industries in general, investing in water re-use equipment so they minimise their water use impact. Luckily, we had an average amount of rainfall this year, but there is no guarantee that the drought won’t continue or get worse. We have to be smart about the resources we use. We feel very strongly about conserving water and we are looking at every avenue to try and reduce our water usage. Read about Bear Republic's sustainability program here. You can also read our article about an experiment carried out by Young Henrys to imagine a beer made with drought affected ingredients or check out other Big Issue features here.